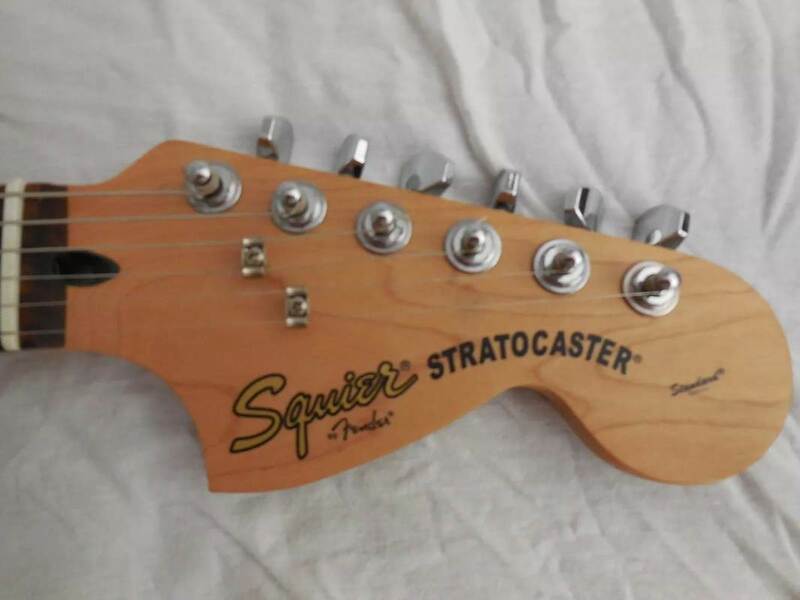 The Deluxe Stratocaster is a 2004 special edition Squier with an impressive figured maple top (flame or quilted), white pearl pickguard. 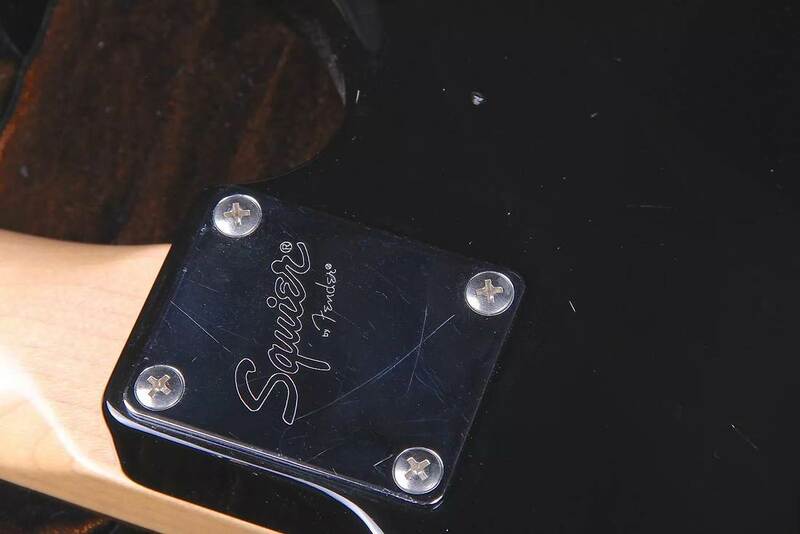 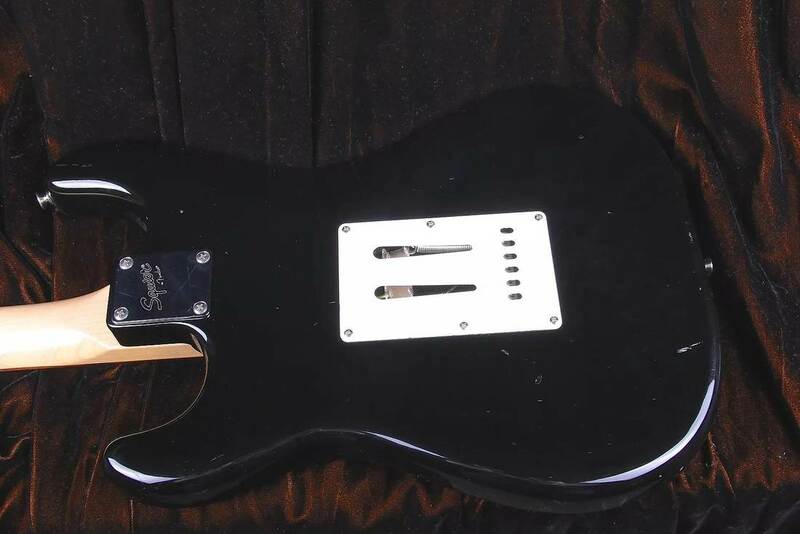 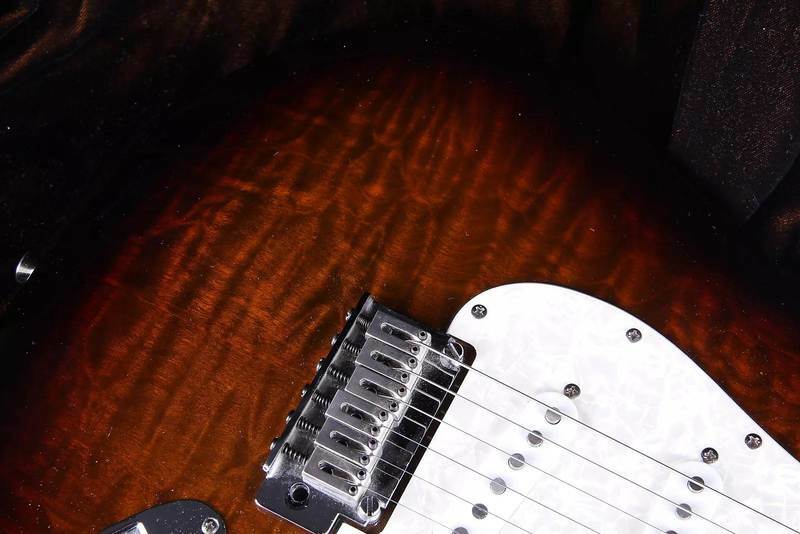 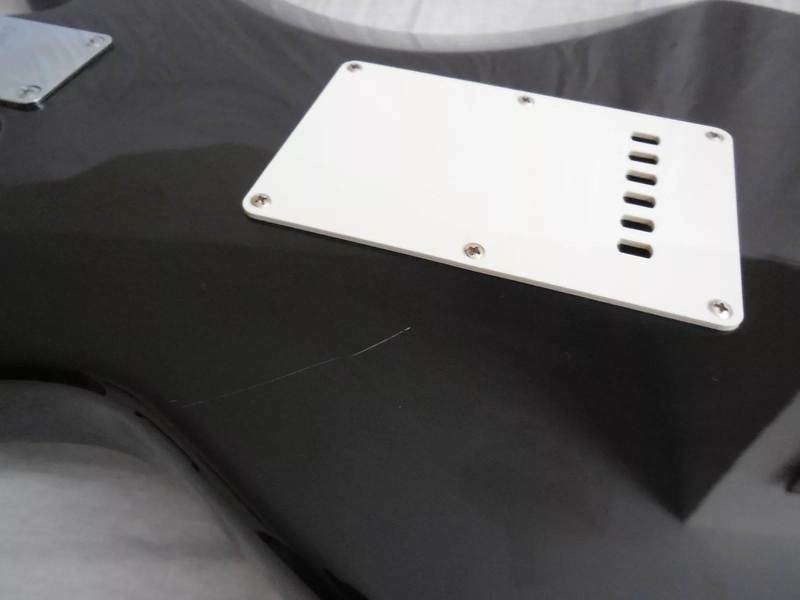 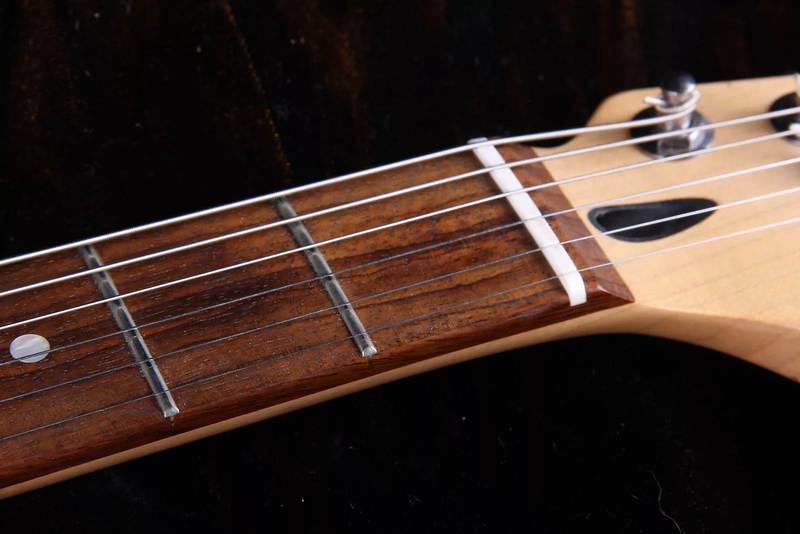 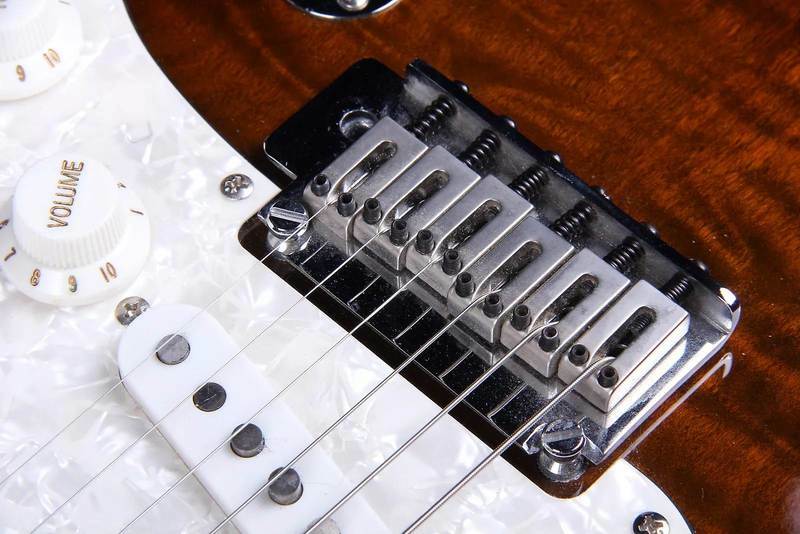 Finishes like this are typically seen on guitars costing 10 times as much. 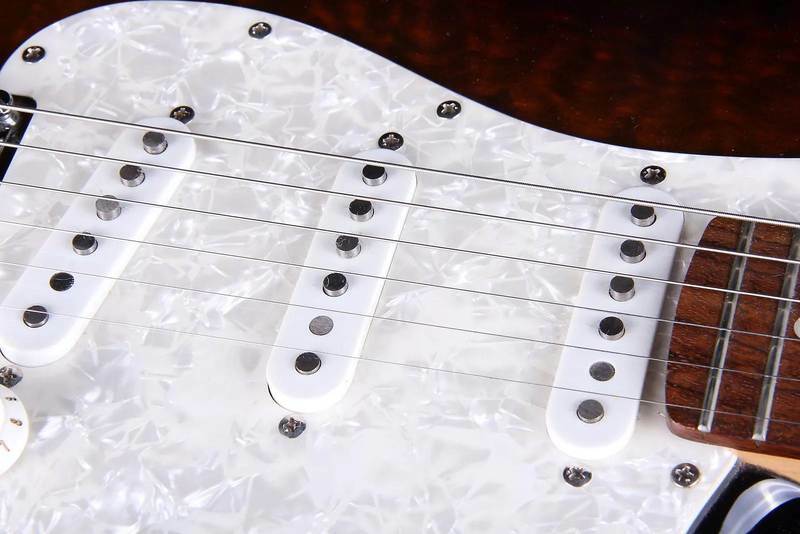 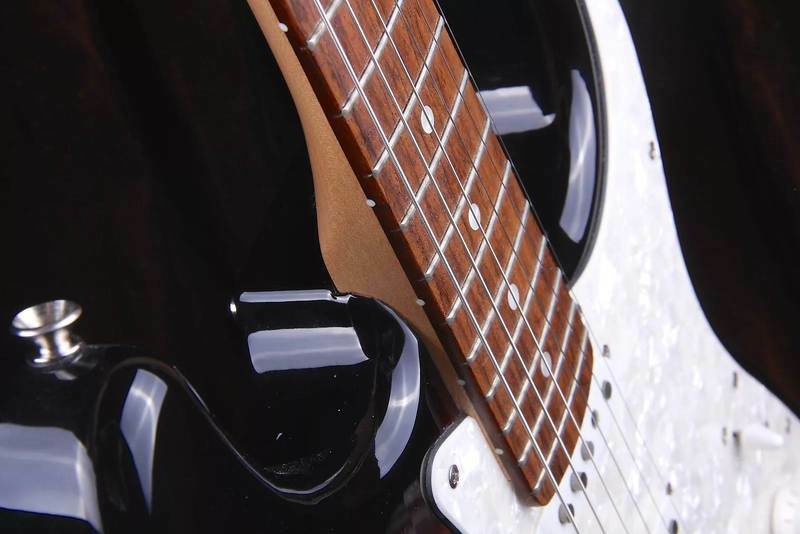 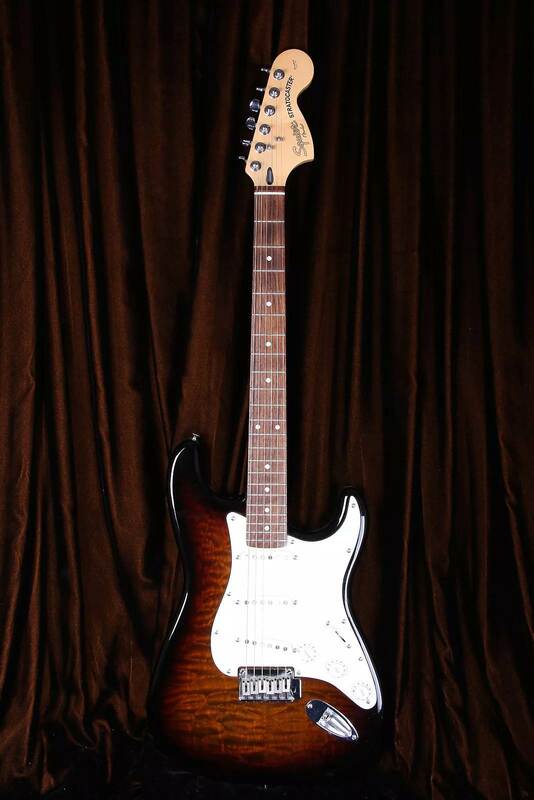 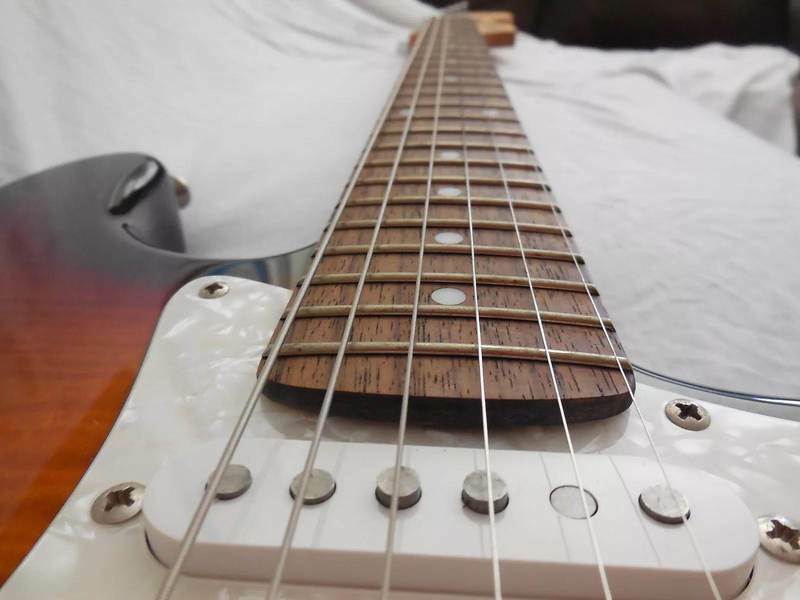 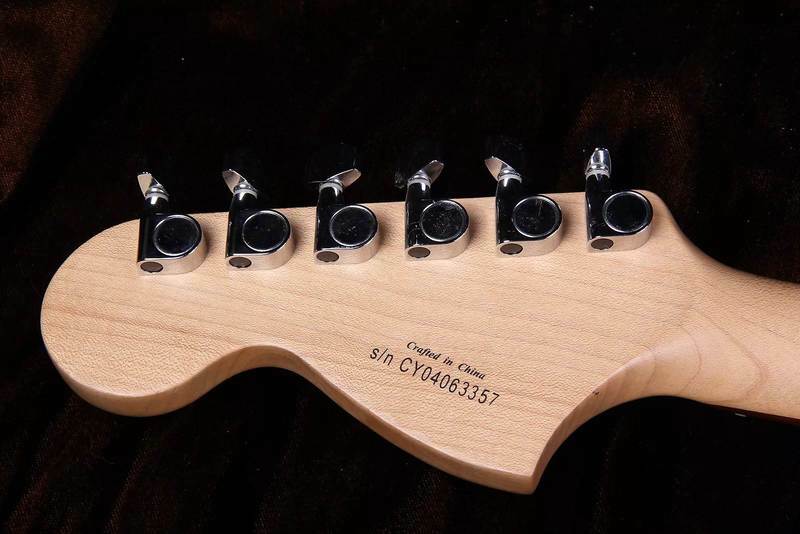 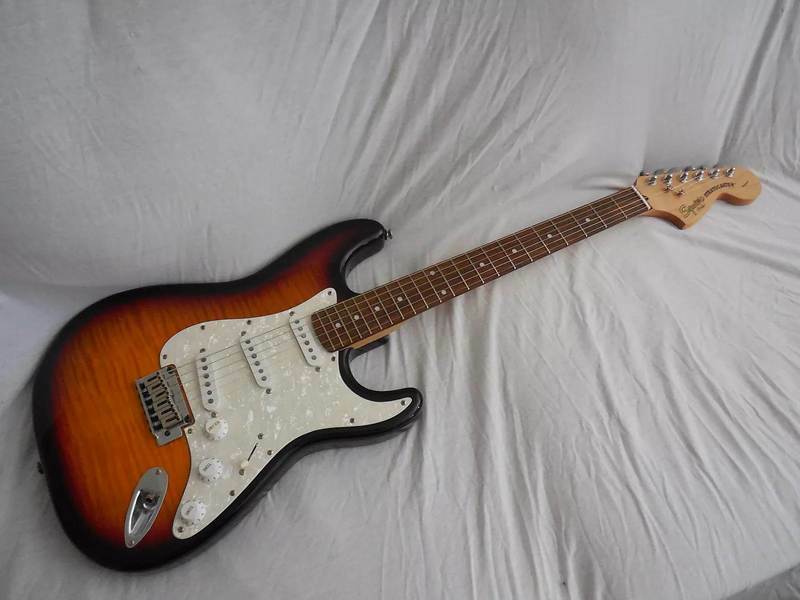 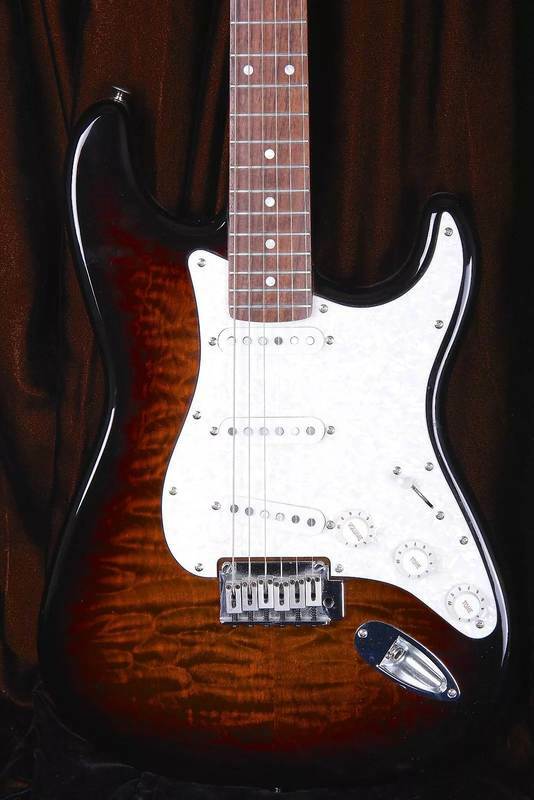 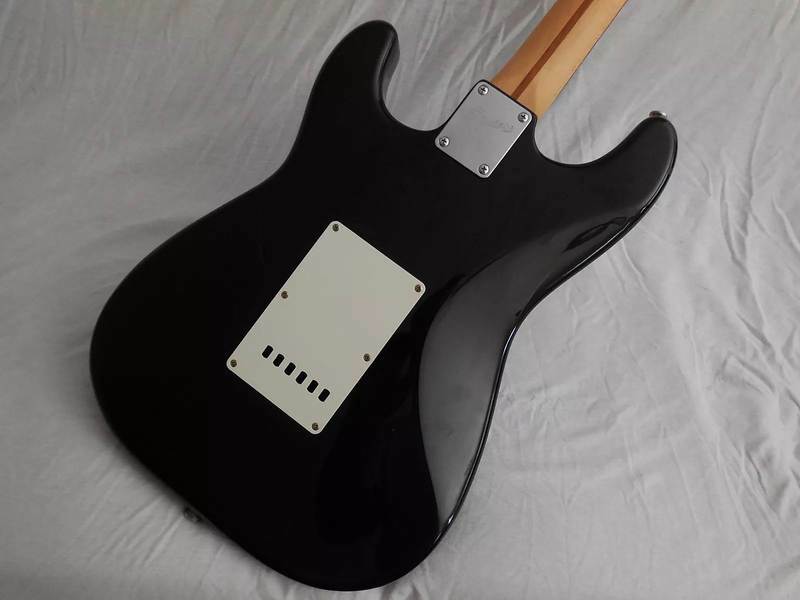 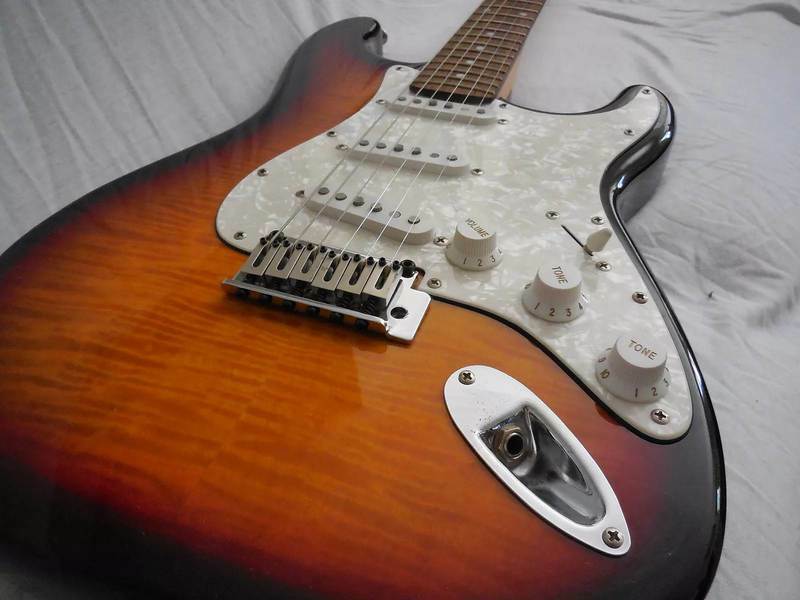 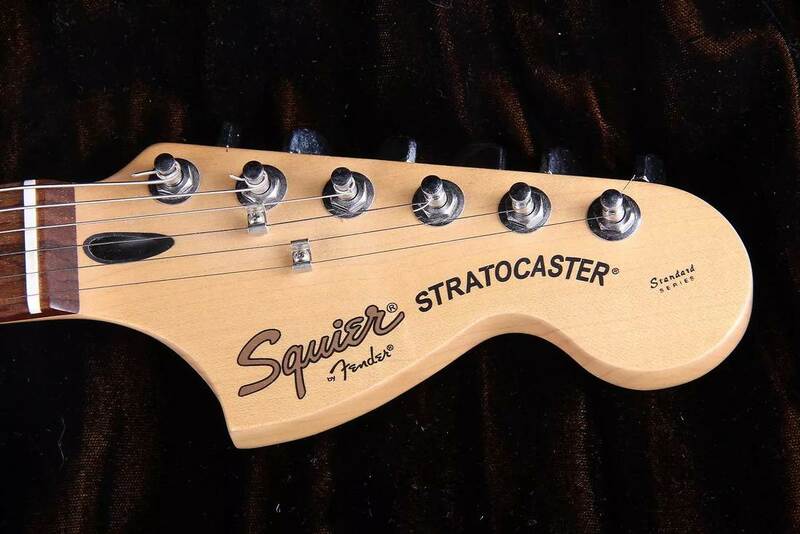 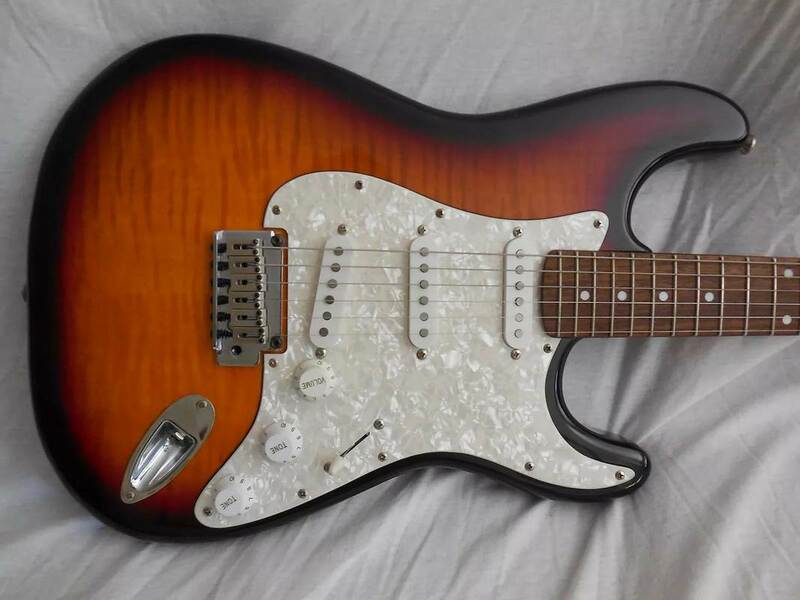 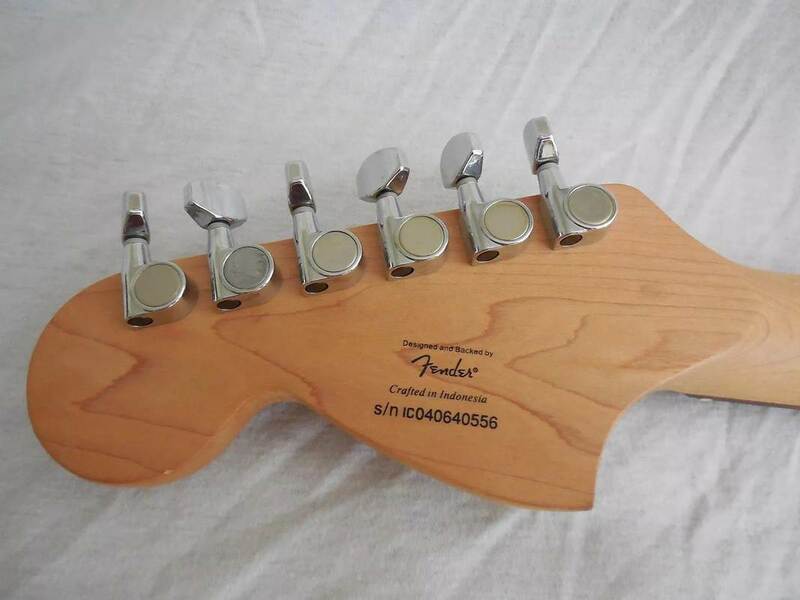 It an amazing value, and it a real Fender designed Stratocaster! 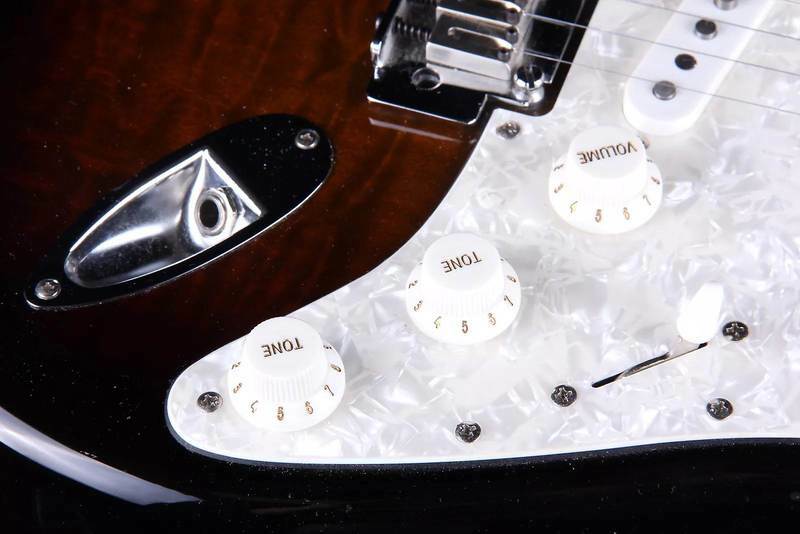 These special run instruments are a cut above the crowd in visual appeal.